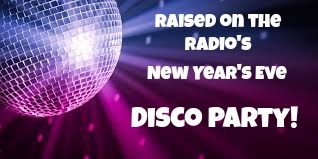 I’m the 70’s pop culture junkie and frankly, New Year’s Eve isn’t New Year’s Eve without disco. And I don’t mean some new fangled discotheque music. What the heck is a discotheque anyway? Or is it Disco Teka? Whatever it is, that’s not what I’m talking about it. What I’m talking about here is Shaking Your Groove Thang, you know – get down tonight? Don’t bother trying to deny it. There ain’t no way to stop it, the music starts…maybe a little Commodores? Your head starts bobbing, maybe your shoulders start moving to the rhythm. That’s all right, you don’t have to get out on the dance floor, but your hips are having a party while you’re not even paying attention. It’s a New Year’s Eve Disco Playlist, because you all know you want one. Turn that party ON people! Nobody’s body doesn’t want to move to the groove, I promise you. But pop in some Sarah Machlaclan for New Year’s and I can bet you everyone’s going home early. Did you know if you click on the bottom YouTube Playlist you can just click play all and have a party right from your computer? Let’s make a date to boogie down in 2015 Jen. So many great songs to make memories to. Thanks Kir!! We really do need to boogie 🙂 Have an amazing New Year!